Roger Hinds Thing 2 model. 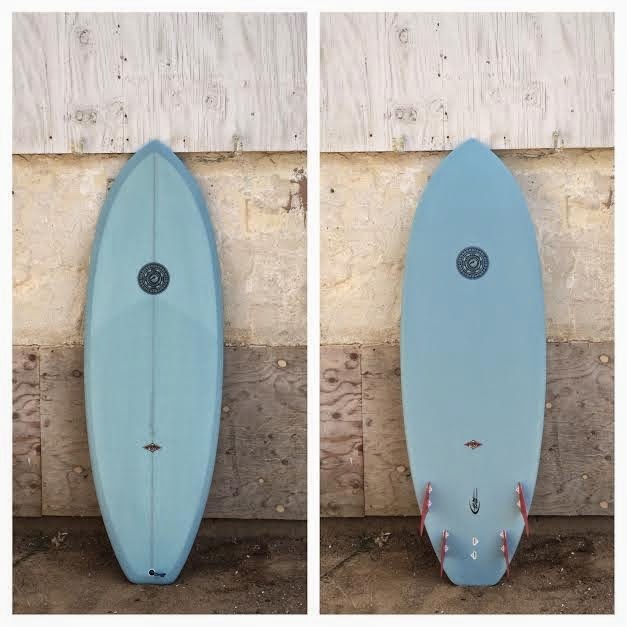 16 3/4″ nose & 16 3/4″ tail. Shape, glass, sand all by Roger at his shop in Seal Beach, California. 5 Futures boxes. Resin tint, deck patch, matte finish. 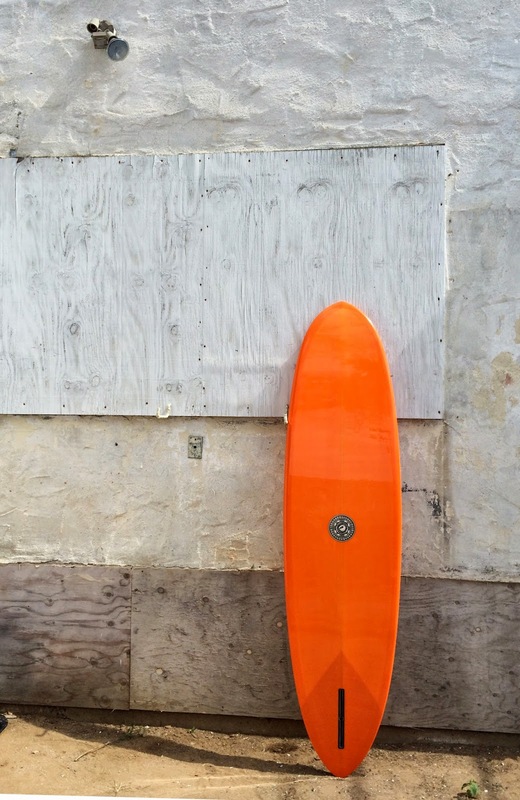 Board includes 5 Futures fins set (plastic). Nice logo by Tyler Warren. 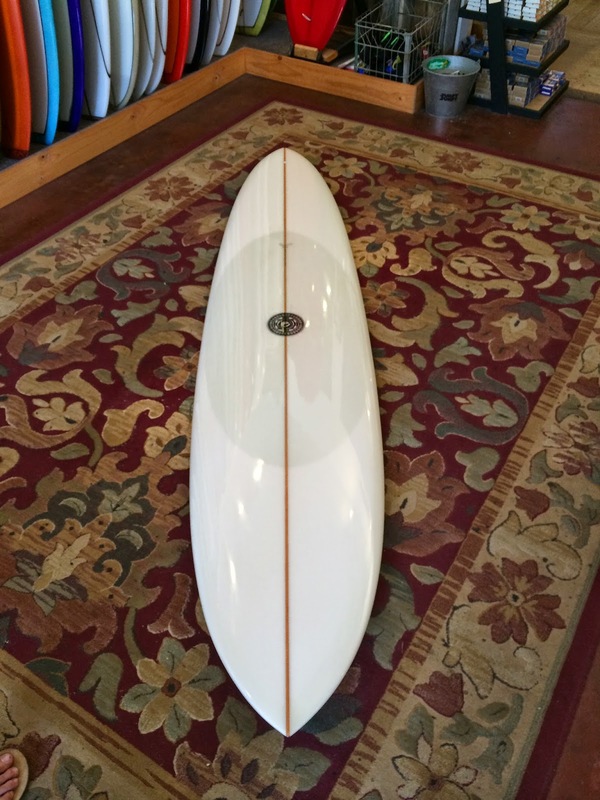 Ideal for those who want to shred good to sub par surf 300 days a year. The Roger Hinds THING model. 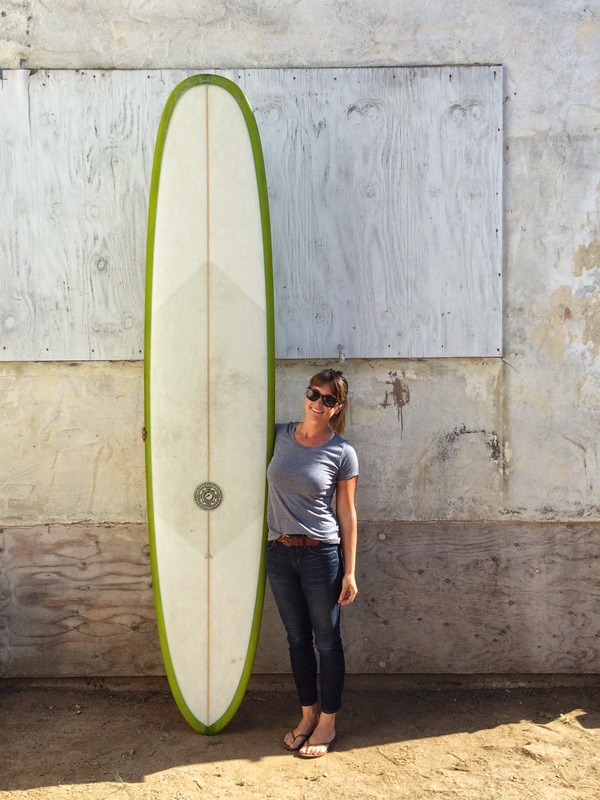 Shown here with our fiberglass TFAD quad set. Roger also owns the Bear label, so he slipped this mini logo on there. Roger shapes, glasses, sands all his surfboards himself 100%s start to finish. Roger’s groovy logo was hand drawn by Tyler Warren. 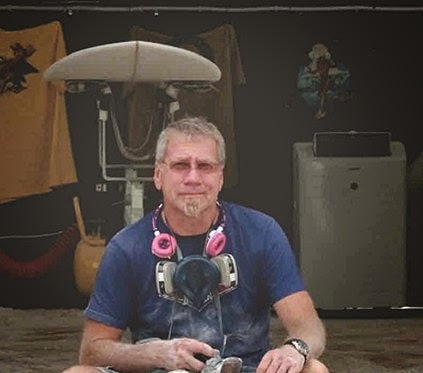 Roger Hinds is well respected in the surfboard industry. Incredibly he shapes, glasses, sands, glosses and polishes are his board 100% start to finish! 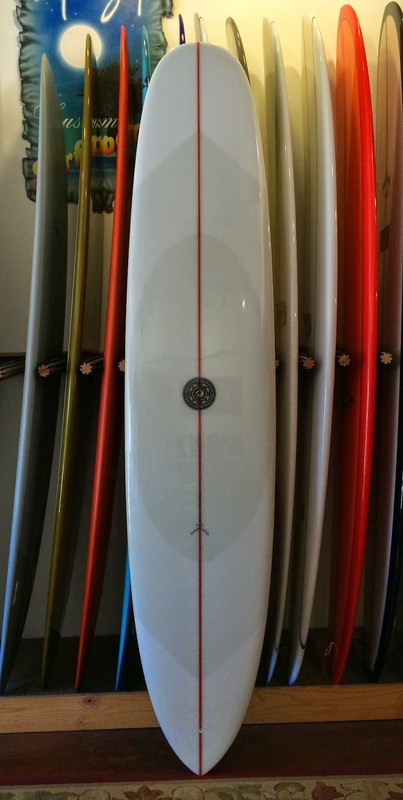 Cruise by our shop in Leucadia, CA sometime and check out Roger’s boards. He brought a nice selection of longboards, mid-lengths and stubs (not all boards are photographed yet). We are stoked to be stocking Roger’s boards. 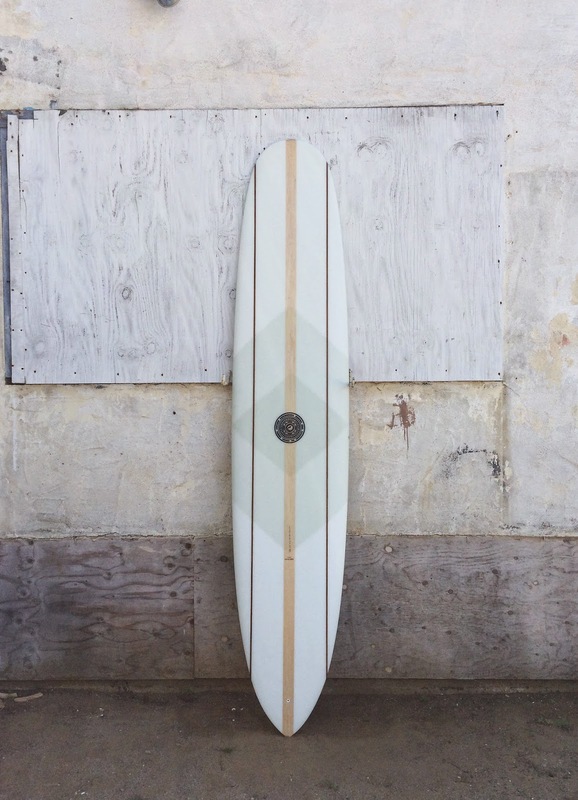 He also has the Country Surfboards and Bear label so we can get you those if you want one.